Welcome to the second in The Pink House’s occasional series ‘How I Won The Interior War’, where experts share their tips on how to overcome the partners/husbands/kids/dogs that stand in the way of our genius interior ideas. To read the first hilarious instalment, click HERE. Jess's living room: "he doesn't get my thing for Moroccan rugs at all"
EM: Hey Jess! I have loads of questions for you about finding family-friendly beer gardens in SE London, but I guess we’d best focus on interiors for now. So can you tell us please: what's your key technique for getting your own way when it comes to home decor? JH: Hi Emily! Well, my preferred method of persuasion is the softly, softly approach (but not too softly, I can't be waiting around too long). My husband's automatic reaction to everything I say we need for the house is weary cynicism. On first mention he usually rolls his eyes and shuts me down. So I leave it a week, and mention it again...but this time not directly to him. Instead I'll grumble about the thing I want to replace, or just talk about it hypothetically as if it's going to happen. If he starts to engage with me I know the battle is almost won. JH: I like to make him think he's getting a good deal so I'll purposely show him things which are astronomically expensive so that the thing I want looks cheap in comparison. But I have to admit he’s got a bit wise to this now. My latest ploy is to bargain with him or offer a trade off. I've been desperate to completely redecorate my hallway and landing but the painter’s quote stopped the project dead. So recently I offered to do the painting myself so we could spend the money on new flooring and a stair runner instead. It's going to take me forever but at least I get what I want. Jess's bedroom: her husband says the walls "should have been dark green"
EM: How would you describe your partner's decor taste? JH: He has quite good taste. I wouldn't say he has a particular style because to be completely honest he doesn't get chance. But there are things he definitely doesn't like. Like rugs. He doesn't get my thing for Turkish and Moroccan rugs at all. But I think he favours dark, more dramatic colours over lights and neutrals. He wasn't on board with me painting our bedroom pale green. He thought it should have been dark green. Or so he told me once I'd finished painting. Oh. EM: Have you ever let him do any decorating? Do you mean styling/planning/choosing things etc? Or actual decorating? If the former...No, never! But I do always run things by him and ask his opinion on paint colours etc and he takes an interest to a point which is lovely. But he's usually run out of things to say by the 10th paint sample. If the latter...Yes, with mixed results. He's not very handy bless him and I get nervous when he picks up any tools. He knows it. He's not very good at starting something and seeing it through to the end and one of the living room doors in our previous house had thick blobs of gloss on it where he had slapped it on and then wandered off without finishing the job. BUT he has been trying more lately. He painted the kitchen cabinets while I was at my mum and dads in Yorkshire and he did a good job. Unfortunately it was the wrong colour and it had to be done again, but he did great. And he bought himself a power tool that has come in handy. He's just about to start redoing our decking so watch this space. JH: He's always telling me he's a "solutions man" so I suppose the answer to this is yes. I'm just not sure what they were...Hmm. We disagreed over which way to put our bed when we moved into our new house. He insisted on doing it his way and I'm not too proud to admit he was right. JH: My really subtle Jonathan Adler gold Drip wallpaper, and soon to be added to this list is my pink kitchen. I still can't believe he went for the wallpaper. It was that softly softly thing again. In this case, I did actually try to find suitable alternatives but nothing else cut the mustard. After talking about it on and off for months and mentioning how fun it would be when we had people over (he likes the idea of us having a great party house) I think he finally said yes after a having a few drinks at a work do. I was heavily pregnant and emotional after a run-in with the cowboys fitting our new front door and I don't think he wanted to upset me anymore. But whenever my friends come round they always say they would never get it past their husbands! And he's been really cool about the pink kitchen. I think because he knows it's only paint and doesn't require any great financial outlay. He's pretty cool and open about most colours though to be honest so I'm lucky that he doesn't take much convincing in that regard. I have friends whose husbands won't allow anything other than grey or white which would drive me insane! JH: A side return extension. Still working on a timeline for that one. And I had a brief moment when I wanted a leopard print carpet. He told me there was no way in hell that was happening. And in hindsight I think he was probably right. EM: What are you planning to do next, decor-wise? How will you achieve this in terms of partner approval? JH: Next up is hallway and garden. I basically want to rip everything out, lights, carpets, floorboards and start again, which until recently he has been pretty anti the whole thing. But I can sense he's coming round. We'll have to see how far I actually get! The quickest way to annoy him is to go and order something without discussing it with him so I'll have to look into everything and present the case to him. He's very visual so I often print out Pinterest images and circle things I like to show him what I'm thinking. If I just talk at him he switches off. EM: Anything HE does (non-interior decor related) that he won't let you dabble in? JH: I do cook most nights but if he's home on time, he always steps in. He's a natural and gets frustrated with my (lack of) knife skills, my meticulous measurements and my constant referring to the cookbook. He's much more instinctive when it comes to cooking, I suppose like I am with decorating! 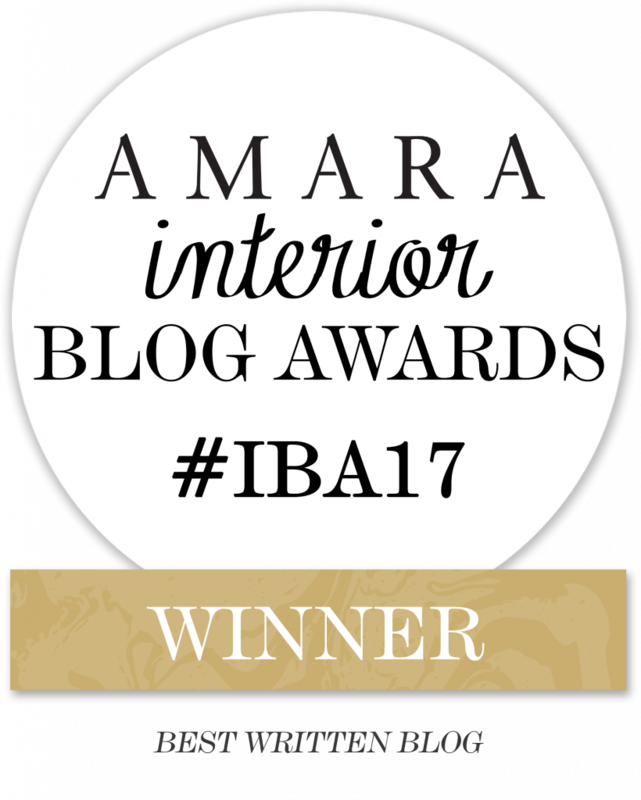 EM: Thanks so much Jess – you’re a true interior warrior!